Carlisle, IA (8/22/2008) - The GBC Motorsports Heartland Challenge Endurance Race presented by PIAA scheduled for November 7-8, 2008 is excited to announce another unique challenge to its already exciting roster of events by giving the pit crews the opportunity to compete against each other, and the clock, to see who is up to the “Challenge” on Friday night with the Milwaukee Pit Stop Challenge. The Internationally recognized Milwaukee Electric Tool Corp is the leader in cutting edge tool technology and is always ready for a good challenge, so they were the perfect fit for our unique pit stop challenge event. The Milwaukee Pit Stop Challenge will consist of one rider and up to three pit crew members. 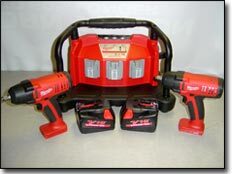 Each team will be provided with two Milwaukee Lithium Ion V-18 Battery Operated Half-Inch Impacts for the teams to use while taking the challenge. From a dead engine start, the team rider will drive their ATV 25` into a 6` x 8` box. The crew must change a front and rear tire on the same side of the ATV and also swap out the rider’s goggles and gloves, and then the rider must drive 20` to the finish line. Once completing the challenge, all lug nuts will be inspected for proper installation, and the team with the fastest time will be declared the winner of the Milwaukee Pit Stop Challenge. 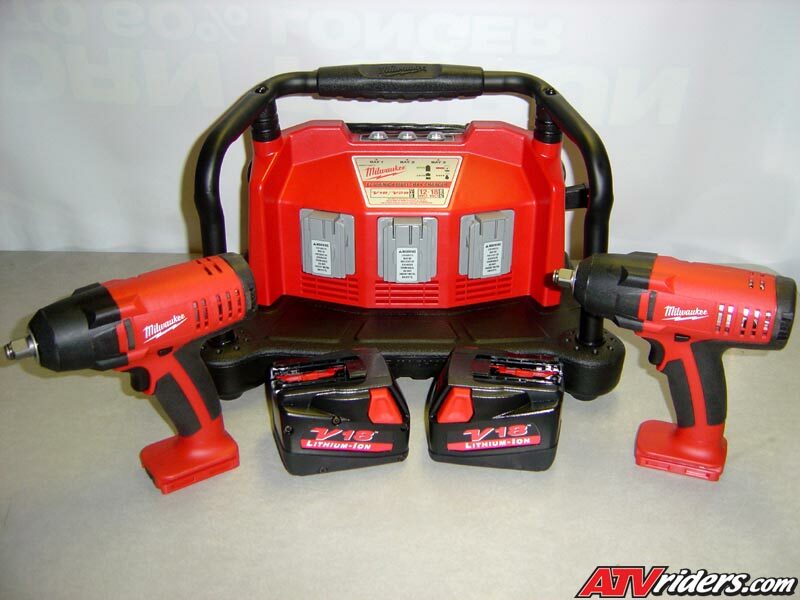 Milwaukee Electric Tools will reward the winning team with two Milwaukee Lithium Ion V-18 Battery Operated Half-Inch Impacts used in the challenge as well as throwing in a Milwaukee Multi-Bay Charger with a total value of nearly $800.00. Registration for Heartland Challenge Endurance Races and the Milwaukee Pit Stop Challenge will open soon, and the Milwaukee Pit Stop Challenge will be limited to just 40 teams, so be sure to sign-up early to guarantee your team a chance to compete in this exciting event. A full schedule of events and classes, along with pre-registration information, can be found on the GBC Motorsports Heartland Challenge’s website at www.heartlandchallenge.com.